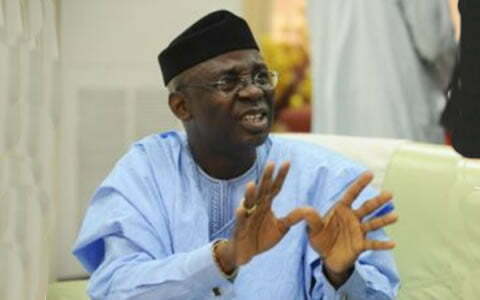 Tunde Bakare, the General Overseer of the Latter Rain Assembly, has said that he and presidential aspirant Omoyele Sowore will lead Nigeria. Bakare said this when Sowore paid a visit to his church on Sunday. Bakare described the publisher as an “uncompromising non-conformist rebel with a cause”. He noted that though they both have their eyes on the seat of the president, they would, in turns, lead the country. “The problem that I have is that Sowore wants to be president and I want to be president. One of us will have to knock each other. “Well, everybody say, ‘turn by turn’. I will fulfill my own turn and he will do his own turn. It is not his first time here by the way. “Many people don’t know this guy had fought lions and bears and battles just to ensure there is good governance in our country and I am so happy that people like him are thinking of contributing their meaningful quota while it is yet day. “If people will not gather together to shake the system, the system will remain unshaken. But now they are afraid because we are coming from the east, from the west, from the north, from the south, from outside invading this country to say enough is enough,” Bakare said. Pastor e be like sey dem don dey push u ,abi? ?